Claire is Ella Grey's best friend. She's there when the whirlwind arrives on the scene: catapulted into a North East landscape of gutted shipyards; of high arched bridges and ancient collapsed mines. She witnesses a love so dramatic it is as if her best friend has been captured and taken from her. But the loss of her friend to the arms of Orpheus is nothing compared to the loss she feels when Ella is taken from the world. This is her story - as she bears witness to a love so complete; so sure, that not even death can prove final. I'm a huge fan of stories based upon Mythology and I was already familiar with the story of Orpheus and Eurydice, so I was really looking forward to seeing a modern take on the old tale. This story isn't narrated by Orpheus or Eurydice (who is named Ella Grey in this retelling), but by Claire, who is Ella's best friend. She was the only one left to tell the tragic and painful story of her friends, the ones that had lived on in her memory like a wildfire, their story too vivid to be left untold. 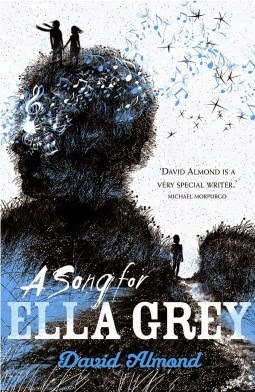 The pace of A Song For Ella Grey was beautiful and poetic, the way the story was written to the audience. Claire was the best person to tell the story, because she knew them both in a way that no one else did. She had a love for her best friend Ella that only those in the deepest and most sincerest of friendships could understand. This is so much more than a story based upon the fateful Greek tale, but about a love that defied time and a friendship stronger, more unbreakable than most. The characters seemed older than their teenage years as the story was cast into the retelling, and although the story is perplexing to those who know and don't know of it, in some ways, the retelling is poise and redone in that way to modernize the tale. Overall, the reciting of the old Greek tale of Orpheus and Eurydice in A Song For Ella Grey was refreshing and inspiring, and although it is very different in normal storytelling, it was nevertheless a stunning and bright novel that I thoroughly enjoyed. It was hard to think of one stand-out moment when there were a few favourites throughout, although the moments where we can see how much Claire cares for Ella, were heartening to read about as Claire told their story. 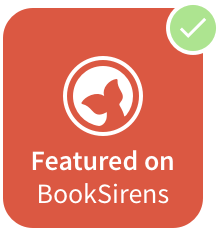 YA Fans of Mythological stories retold, or if you're looking to spice up your shelf with something different. Have you read A Song For Ella Grey?